Think about the towns that can boast of a healthy body of musical talent and venues and supporters -- what is usually called a "scene." More often than not, there's probably an independent record label right smack-dab in the heart of that body, helping pump that musical blood out to the rest of the world. Washington, DC, has Dischord, for example. Seattle has the infamous Sub Pop. Thrill Jockey calls Chicago home. Chuck Morrison is hoping his label, MoRisen (pronounced Mo-Rise-n), might achieve similar acclaim for Charlotte and the rest of North Carolina. The Charlotte resident recently secured national distribution for his label through NC-based Redeye, and, some six figures later, is now ready to roll (and rock). 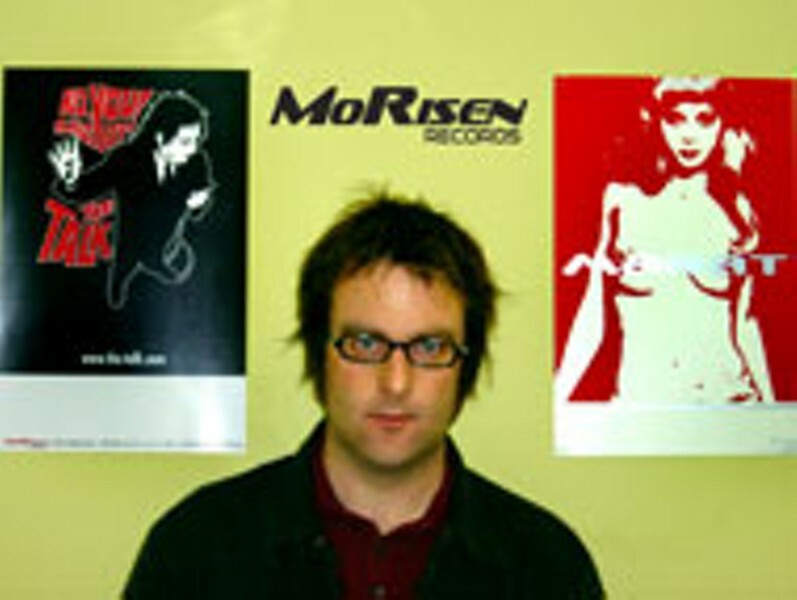 "I think MoRisen Records may have been in my head since Dena Frith wrote "you bring me updates on bands I've never heard of' in our high school annual," says Morrison. "But seriously, it's probably been in my mind since the mid-1990s, when I was managing Granger (an offshoot of the Dillon Fence breakup). We were signed to Shanachie and did demos for Atlantic and Elektra. It was all very exciting and happened fast, but I didn't feel Shanachie delivered on the marketing and promotion end, which are areas well-suited to my skills." All record labels -- even those not expected to become money trees -- do need some seed money. Luckily, Morrison's background in the aforementioned fields of marketing and promotion allowed him to collect a nice harvest from his former job. "Before MoRisen, I started a company called HIREV, which was a marketing and promotion company mainly focused in NASCAR," Morrison says. "We went from no sales to almost six million dollars in sales in three years. I sold my interest to my partner two years ago, and began to fully devote my time to getting MoRisen started. "I give my parents, especially my dad, credit for exposing me to all sorts of music at a young age," he says. "My first record was Exile on Main Street, and I got it for my sixth birthday. My parents were also cool enough to let me go see KISS as my first concert. Obviously, that will make a big impact on a 10-year-old." Since starting the label with the signing of Charlotte's Leisure McCorkle (who, incidentally, is no longer with the label), Morrison has inked Marat, The Talk, The Never, Snatches of Pink and Jennyanykind to deals. And he may not be done yet. "So far it's worked out well. I give the artists pretty much carte blanche on creative control of the music. That's part of the homework I do when I'm thinking about signing an artist. I work with them on selecting the right producer and studio that are within the budget, and we go from there. I try to stay out of their way during recording sessions, but I get more involved when we start mixing. Sometimes I hear things a little differently and will want to try a different mix...(but) it's generally worked out well so far." Mark Holland of Chapel Hill's Jennyanykind, one of the more recent MoRisen signings, says he likes what he sees so far. "[Holland's twin brother] Michael, Chuck and I met at Breadmen's in Chapel Hill and sealed a three-record deal over fried eggs. I've seen all kinds after 10 years in the business. I see Chuck as the type who can make things happen. That will go a long way. It's too early in our relationship with him to judge his acumen, but he got us a booking agent within a few weeks. Nobody has ever come close to doing that for us before, so that says a lot." Justin Williams, singer and songwriter for Charlotte's The Talk, says Morrison's musical enthusiasm was just as important as his monetary when it came time to sign on the dotted line. "Chuck got a copy of our CD No, You Shut Up, and liked it," Williams says. "We already had a second record written, but no bass player...we recorded the record at a friend's house, just to have those songs on tape. We ended up getting a new bass player and planning to go to Nebraska (to work with Mike Mogis, known for his work with Bright Eyes and the Saddle Creek crowd). Because of Chuck and MoRisen, we got to make the record we wanted to make with the people we wanted to make it with. Chuck never once questioned what we were going to record or how we were going to do it, or what it would sound like. Not many labels out there do what Chuck does for his bands." The road to fame (or infamy) is a two-way street, of course, and Morrison says he's always sure to ask his acts in advance if they're willing to do an equal amount of driving. "We work this out on the front end, and it's all pretty clear," Morrison says. "I am going to work as smart and as hard as I can on their behalf to give them and their records every opportunity for success. I ask they give me the same, and that includes touring, interviews, promotional appearances and in-store performances. For instance, The Talk will be heading to the UK in October to play the International Pop Overthrow in Liverpool. We're building an 8-day tour of the UK around this appearance. So, I expect them to go -- which I don't think they'll have a problem doing. "I have a great roster and believe it's as good as any from any label this size. However, I have to always be looking out for new artists and there are a couple I'm negotiating with right now, one band from here and the other from Raleigh. "The best-case scenario is to keep working very hard to be the label of record for the region, and to keep putting the resources behind the artists and their releases so that we can solidify a presence on the national scene. This region is ripe with an incredible array of talent, and I truly believe Charlotte can be -- and is -- a force in the music scene. "The foundation is here, and it's the pioneers like Hope Nicholls, Penny Craver, Bernie Brown and so many others that have set the table for success for the area and its artists. It's going to happen, and I want MoRisen Records to be at the forefront of the scene. Mammoth did it in Chapel Hill, but lacked longevity and sold out for cash while keeping the "brand" Mammoth around. That scenario doesn't appeal to me. I am more about continuing to build and grow this business, while doing my part to cultivate the scene and the region for a long time. "With longevity comes financial reward as well, so I'll take longevity."